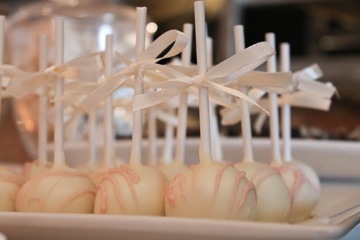 Sunday we attended the Hunter Valley Gardens Wedding Open Day. It was a gorgeous sunny winter day, and the vineyard setting was amazing. Tempus Two, if anyone is looking for a wedding venue, is a stunning sophisticated space with high ceilings, a lovely bar area, wine barrels floor to ceiling, the entire room just works! 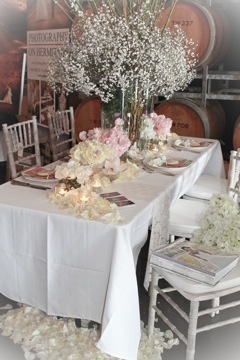 We were lucky enough to be placed next to Peonies Floral Designer, well known as the best floral designer in the vineyards, and I suspect, the country. 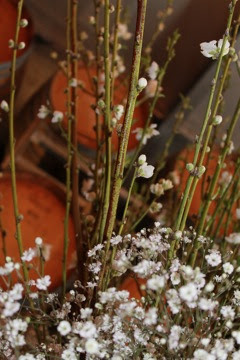 Darlene has been in the floral industry for around 20 years, and has remained at the cutting edge of floral design for all this time. Her sense of style, colour, flow and proportions are impeccable. I simply cannot fault Peonies. 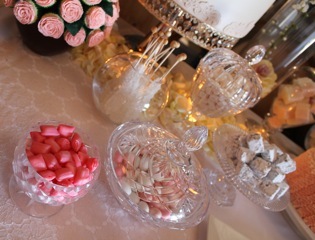 Every wedding we jointly style a reception, we create incredible displays of sweets and flowers. 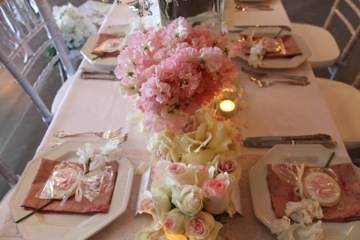 So when it came time to prepare for this HVG expo, we felt the natural thing to do to showcase our designs, was to create a joint mock wedding reception. 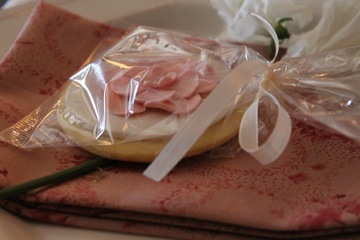 For us, adding flowers, rose petals and tea lights into our space, and cookie bonbonniere into their's, just made sense. We love to meld the two together. 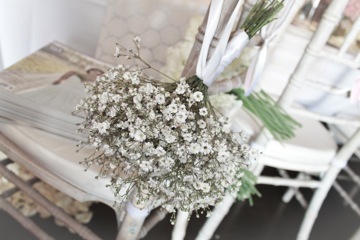 For us, it's about harmony between all the pieces in the reception room. It needs to read as one; as though it was created by the one person, rather than a culmination of separate parts. But that truly is the beauty of working side by side. Many minds do really bring out the very best in each other. 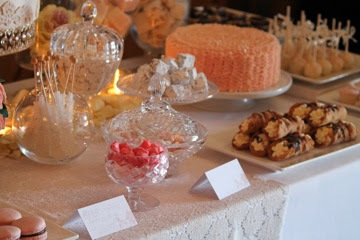 The desserts on this table reflect a soft romantic colour scheme, whilst incorporating natural baked hues. This just takes down the sophistication level of the design, and makes it sit comfortably in this mildly rustic vineyard setting. 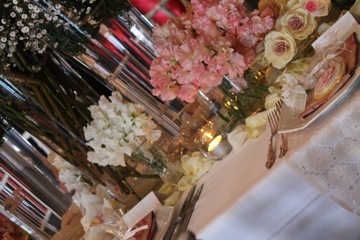 Personal style needs to be paired with elements that recognise the venue and location in order for it to really work. 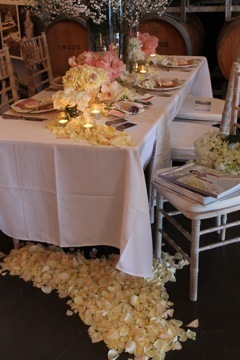 Darlene at Peonies created a reception table that would be the envy of any bride. I see many reception rooms, but this quite honestly, took even my breath away! 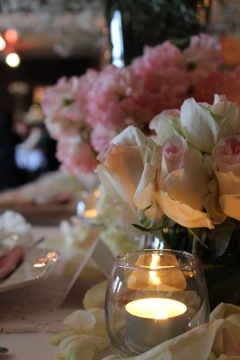 The layers, the complex design, paired with simple flowers, just worked in the space. 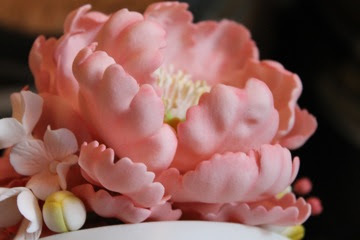 Kale, baby's breath and sweet peas may not be on every floral designers list, but this is what I find so exciting about Peonies. I always know their designs are going to blow me away, I just never know how!! 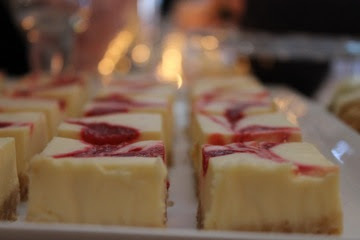 When it came to creating a cake for this Open Day, we knew it had to be a show stopper. 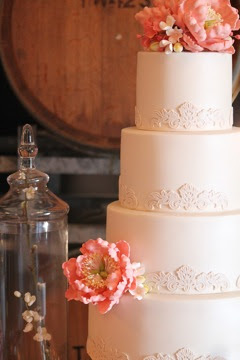 We created an ivory four tier extended cake with a gorgeous lace border on each tier, and decorated with sugar peonies and hydrangeas. 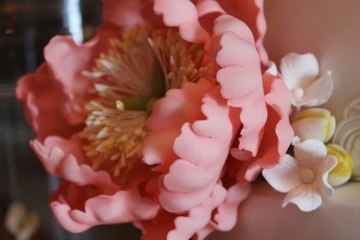 The lace work on this cake took three decorators 5 hours to complete, whilst each sugar peony took 3 hours to create. 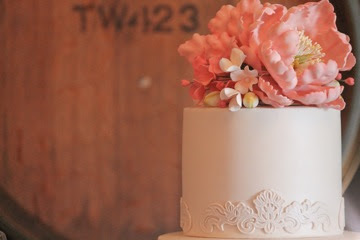 The aim was to design a cake that was refined, timeless, and classic. One that was polished and elegant, yet still retained the modern clean lines we adore creating. We would like to thank Brooke Aime Art for supplying these stunning snaps of the day. 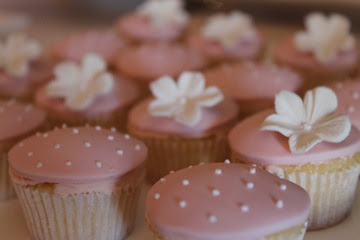 They are just beautiful!